Today was an exciting release. 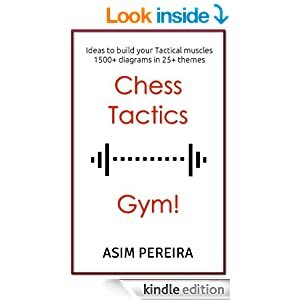 Chess Book Study v1.5 has an interesting 'Talk to Move' feature! Yes, you just speak the move and it will be played on the board! If you wish to try, please enable it from the app settings. ☆ Talk to move! Careful in public, people may think you are crazy. Enable it from the app settings. ☆ Option to show coordinates! With coordinates on, its easier to follow the moves, especially for newbies. ☆ Takeback/Forward buttons! Yes, yes I know. The existing method was not always intuitive and would also cause false touches. Now, you have dedicated buttons that get out of your way (hide themselves), so that you can just focus on the position! ☆ Minor enhancements and bug fixes - Resize board option has moved to the Settings. Clear Board option is now in the Edit Board popup. Also, "Black Move" option has been added to Edit Board popup which can be enabled if the position you are setting up is with Black to move. These improvements make the app better. I like it. 1. 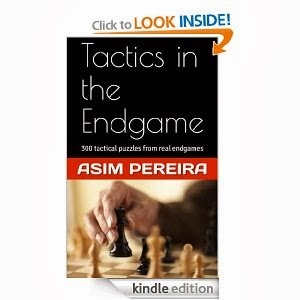 When studying endgame, there are no board features to empty the board and set up the pieces. 2. There are no buttons to reset the board. 3. Auto-play would be better. When finishing entering the moves, the game can be on auto feature. 5. Can board color be black and white so as to match with the book. That would be great. Again, thank you for the app. 3,4. Good suggestions, noted. Currently you can start analysis for the current position by Long press board -> Analyze This. 5. Will add more colors. What does Long press board does? I am using Toshiba Thrive Android 4.03. I don't see "long press." I see the two arrows. Sorry for adding more comments. But I've figured it out. For users out there, press your finger on the board. A menu will pop up with choices described above. I will play around with Analyze this and let you know. One more thing, can the coordinate letter be a little bit bigger? It's very tiny in proportion to board size. Can the coordinates go around all sides? When all the features are added, I definitely will buy this and analyze this. This is a new trend in reading chess books. I highly recommend this to all chess fans. Sure, will take care of the coordinates. I am constantly working on improving the UI and will make sure the hidden options are easily discovered in the upcoming versions. Great App ...I am using in my andriod device . Any plans to launch it in Apple app store also ?